Richmond, VA – September 5, 2012 – CarLotz, a Richmond used cars and consignment business, today announced the promotions of two of its senior professionals as well as multiple additions to its growing team. Ricky Eckert is being promoted to General Manager, where he will manage the Richmond-area stores. Ricky, who joined CarLotz in early 2012 from Enterprise Rent-a-Car, where he managed several of their Richmond area stores, has helped to make the Midlothian store run smoothly for the hundreds of guests who visit each month. “Given Ricky’s strong management talents, we look forward to him seamlessly running the two Richmond area stores with the same level of integrity, transparency, and customer service that has made his Midlothian store so successful. Ricky has been so successful helping us get the Midlothian store to where it is today, we’re excited to see how he will embrace this new role,” said Bor. Dean Fleck is being promoted to Head Coach, where he will co-manage the Midlothian store. Dean joined CarLotz in March 2012 after graduating Hampden-Sydney College. “CarLotz was Dean’s first true professional experience and he grabbed the opportunity by the horns. Dean seized every customer interaction as an opportunity to learn and become better and we have been amazed by the speed of his progression over the last several months. Our customers love Dean and he loves them and he is a terrific steward of our culture,” said Bor. Taylor Warren joined CarLotz as a Coach after recently graduating from Hampden-Sydney College. “Taylor is a true customer service professional having proven himself as engaging, facilitative, and professional in his previous pursuits. We’re excited to have him as part of the team and in helping us build the business,” said Bor. Corey West joined CarLotz as a Coach also after recently graduating from Hampden-Sydney College. “Corey is focused and professional and will be well-liked by our customers. We are looking forward to his contributions to the organization from a cultural perspective and we feel he has the ability to grow quickly with the Company,” said Bor. “It’s an exciting time to at CarLotz and our ability to attract, train, and retain top local talent is a testament to the Company’s innovative business model. People are curious as to where this Company can go and they want to be a part of it – we couldn’t be happier about what this means for the quality of the talent that has chosen to be a part of this growing team,” commented Bor. 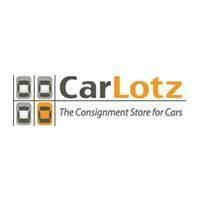 CarLotz (www.CarLotz.com) is a used vehicle consignment business that is driven to make the private party market the primary channel for used vehicle transactions. CarLotz enables sellers to achieve private market used vehicle values without the traditional hassles of the sale-by-owner market, such as meeting with strangers, arranging for financing and warranties, and handling burdensome DMV paperwork. CarLotz was founded in 2011 and has since helped hundreds of sellers and buyers save time and money by transacting safely and efficiently in the sale-by-owner market. For additional information, please contact Michael Bor, CEO of CarLotz at (804) 897-2757 or [email protected] or visit www.CarLotz.com .